The IUT air cooling program is used for many applications. As the cooling program is designed for manual or automatic production the varieties are almost endless. The air flow is uniformly distributed through a nozzle system designed to suit the products. 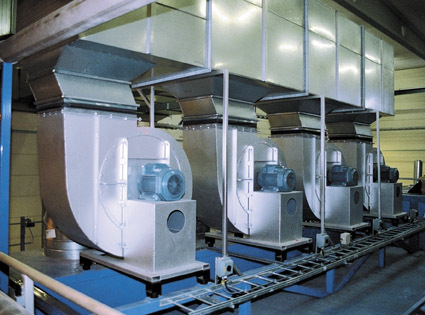 When the process allows it, the cooling efficiency can be increased by the introduction of a water mist into the circulating air. Option: Air conditioning units to be integrated in the air-flow system. Modular design for future expansion.